The three qualified nurse appointments are: Susan Balazs as palliative care lead, Ann Wareing taking responsibility for medication and infection control, and Deborah Bennett leading on wound care. Virginia Perkins, associate director for people and organisational development, said: “Our vision is to become an employer and service provider of choice in the communities we serve. “By providing these all-important opportunities to our workforce to help them progress in their careers, it boosts the morale of promoted employees, increases their productivity and improves the quality of care provided to all our residents. “We are constantly working with staff, residents and relatives to look at ways we can improve, looking for feedback and never resting on our laurels. 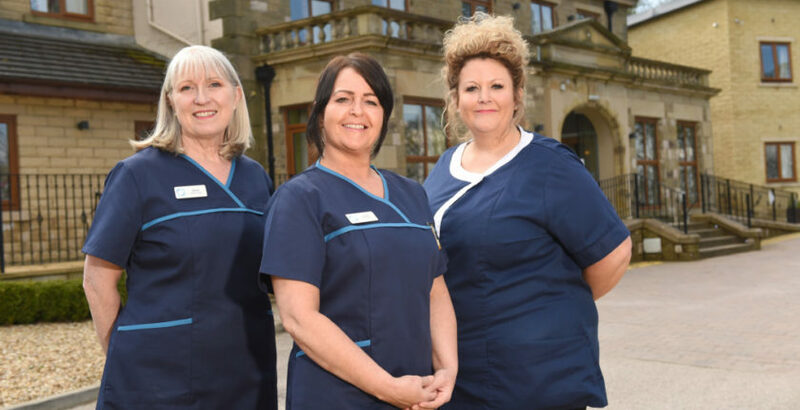 The trio’s roles will be in addition to existing positions held by staff members Karen Fairclough, who will continue as health and safety lead, and Bernadette Bennett as safeguarding lead. Springhill Care Home, which is rated Good by the CQC, provides nursing and personal care for up to 116 people.